Israeli sources have reported that two settlers were killed, and two others were injured, in a shooting attack close to the illegal colony of Ofra, near Ramallah, in central West Bank. The shooting took place at the hitchhiking section of Givat Assag, in the Benyamin Regional Council of Settlements, between Beit El and Ofra, illegal colonies. Israeli said Magen David Adom national emergency medics rushed to the scene, and provided treatment to two wounded settlers. They moved an Israeli man, who suffered a severe gunshot wound to the head, to Hadassah Ein Karem hospital, and a woman to Shaarei Tzedek Medical Center, in occupied Jerusalem, suffering serious wounds. The army said, according to its initial investigation, the shooter got out of a vehicle, before approaching the hitchhiking station, and opened fire at the people waiting there, then ran back to the car, where another man was behind the wheel, and both managed to escape unharmed. 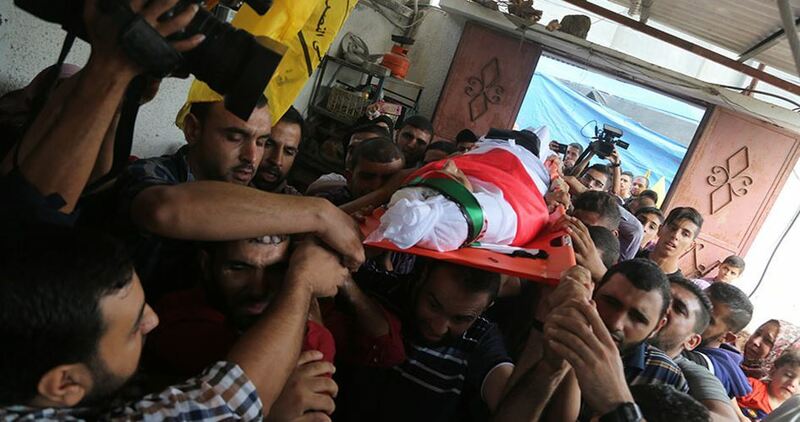 The four settlers are in their twenties; the identities of the two killed Israelis are yet to be released. Following the incident, dozens of colonialist settlers invaded the eastern area of ‘Asira al-Qibliya village, south of Nablus, before the Palestinians intercepted them, leading to confrontations. The Israeli army also closed the Qalqilia-Nablus road, and installed dozens of roadblocks around Nablus, before stopping and searching hundreds of cars, and imposed a tight siege on Ramallah governorate. In addition, the soldiers closed Huwwara military roadblock, south of Nablus, and prevented the Palestinians from crossing, while groups of colonialist settlers hurled stones at many Palestinian cars. 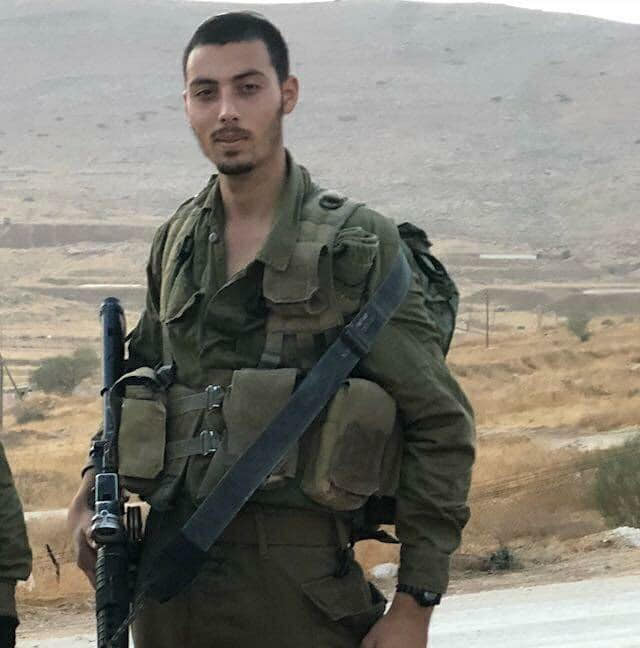 It is worth mentioning that, at 1 am on Thursday, a squadron of soldiers and police officers invaded Nablus, surrounded the house where a Palestinian suspected of killing two Israeli settlers, was believed to be hiding, and shot and killed the man, who was identified as Ashraf Waleed Suleiman Na’alwa, 23. On Thursday at dawn, the soldiers killed a Palestinian, identified as Majd Mteir, 26, in the al-Waad Street, in the Old City of occupied Jerusalem, after he reportedly stabbed and injured two Israeli police officers. On Wednesday evening, undercover Israeli soldiers assassinated a Palestinian Taxi driver, identified as Saleh Omar Saleh Barghouthi, 29, near Surda village, north of the central West Bank city of Ramallah; the army claimed the Palestinian was allegedly “involved” in the shooting targeting colonialist settlers, last Sunday. Undercover Israeli soldiers assassinated, on Wednesday evening, a Palestinian Taxi driver, near Surda village, north of the central West Bank city of Ramallah; the army claimed the Palestinian was allegedly “involved” in the shooting targeting colonialist settlers, last Sunday. 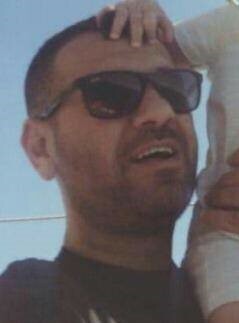 The slain Palestinian has been identified as Saleh Omar Saleh Barghouthi, 29; eyewitnesses said he was driving his taxi when the undercover Israeli soldiers, driving an old commercial Mercedes, ambushed him, and opened fire at him, before abducting him while he was still alive, but severely injured and bleeding. The army later said the Palestinian died from his wounds in a hospital in occupied Jerusalem. Eyewitnesses said that the taxi remained in the middle of the road, after the soldiers shot Saleh, and added that a young man, identified as Wa’ad Barghouthi, tried to remove it from the road, but the undercover forces attacked and abducted him too. Eyewitnesses said the undercover soldiers instantly opened fire at the car after ambushing it, in what appeared to be a clear assassination, not an attempt to abduct and imprison him. The soldiers also abducted Ala’ Tarifi, who owns the Taxi company, when he tried to ask about Saleh’s condition. Hours after killing Barghouthi, dozens of soldiers invaded Kobar village, northwest of Ramallah, and stormed his home where they forced his family in one room, and then removed the males from the property, before conducting extensive and violent searches. The soldiers assaulted the family, and hurled concussion grenades in the property, eyewitnesses said. The invasion into the village led to protests, and the army fired dozens of rubber-coated steel bullets and gas bombs. Medical sources said the soldiers injured several Palestinian, including a child, and prevented a Palestinian ambulance from transferring the wounding child to a hospital in Ramallah. The sources added that the army prevented many ambulances from entering Kobar. The soldiers also invaded Ein Misbah area in the al-Biereh nearby city, and confiscated a Palestinian car, which looks similar to the one used in the shooting targeting the settlers. Dozens of Palestinians hurled stones at the soldiers, while the army fired gas bombs and concussion grenades at them and at many homes and cars. Among the wounded Israelis in the shooting incident is a pregnant woman, and her husband, who both remain hospitalized. Israeli Ynet News has reported, Wednesday, that the doctors had to perform an emergency cesarean section on the injured mother, but the infant was announced dead. In related news, the soldiers invaded Nabi Saleh village, northwest of Ramallah, and fired a barrage of gas bombs, concussion grenades and rubber-coated steel bullets at local protesters. One Palestinian was shot with a gas bombs in his neck, and many others suffered the severe effects of teargas inhalation, especially when the the soldiers fired gas bombs and homes. Local nonviolent activist Mohammad Tamimi said the soldiers also invaded and violently searched many homes in the village, and interrogated several Palestinians while inspecting their ID cards. Medical personnel struggled for four days to save his life but on Wednesday, doctors at Sha'arei Tzedek Medical Center in Jerusalem announced the death of the infant, born prematurely, after his mother was wounded in a terror attack near the settlement of Ofra, north of Jerusalem. The parents, Shira and Amichai Ish-Ran, visited their son for the first time at the hospital's ICU Wednesday morning. On Tuesday, the couple met each other for the first time since the attack. Shira sustained serious injuries while her husband Amichai was lightly wounded and uses a wheelchair. Earlier, Shira's father described how after she awoke, the couple held hands but could not speak. He expressed gratitude that although she was seriously hurt, Shira's life was spared. He also expressed hope that the premature infant's condition would improve. Tragically, that was not to be. Speaking to the foreign press, Prime Minister Benjamin Netanyahu said: "Our hearts are with Shira and Amichai over the passing of their four day old son who did not even have a name. The murderers are abhorrent, the most deviant criminals on earth. The security forces are pursuing them and I hope that there will soon be news on this matter. We will not rest until we find them and deal with them to the fullest extent of the law." President Reuven Rivlin called the parents “true heroes.” He posted a poem “the parable of the fledgling” by Eli Eliyahu about a baby bird that falls from his nest and cannot be rescued. “We are with you, embracing you, and will not rest until this despicable terrorism is uprooted,” he said. Security forces are continuing their search for the terrorists who committed the drive-by shooting attack outside of Ofra on Sunday. Palestinian sources reported that a large amount of IDF soldiers were operating in Ramallah Tuesday in a bid to locate the shooter and accomplices. They added that the forces entered the offices of the Palestinian news agency Wafa and confiscated video cameras. Security officials expressed concern that the suspect has not yet been apprehended noting that the terrorist from the Barkan attack has also not been caught yet and this might provide encouragement to potential attackers. 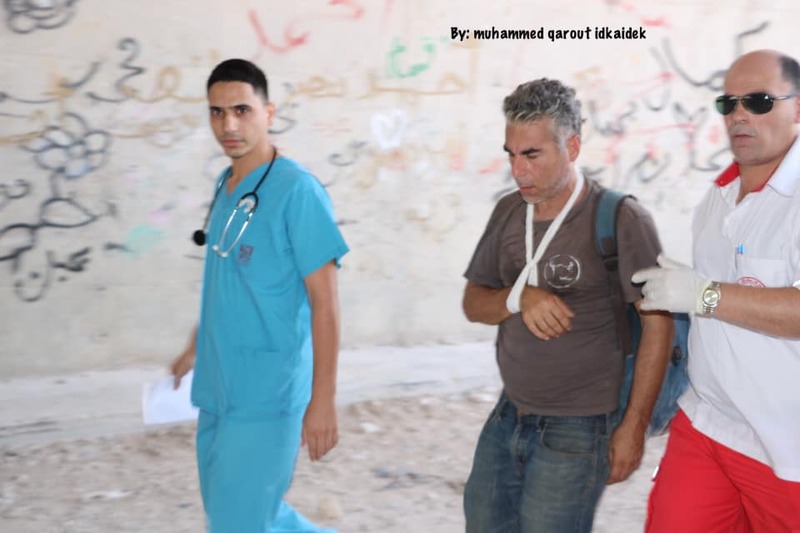 Ina addition to the couple, five others were also wounded in the Ofra attack. One is in moderate condition and the rest sustained light wounds. Footage from the scene of the attack reveals a white sedan approaching the location before slowing down and releasing a stream of bullets into the people standing at the bus stop at the entrance to Ofra, before the car fled the scene. The Israeli occupation army claimed that one of its officers was killed and another was seriously injured during the operation that took place yesterday in Khan Younis, south of the Gaza Strip. 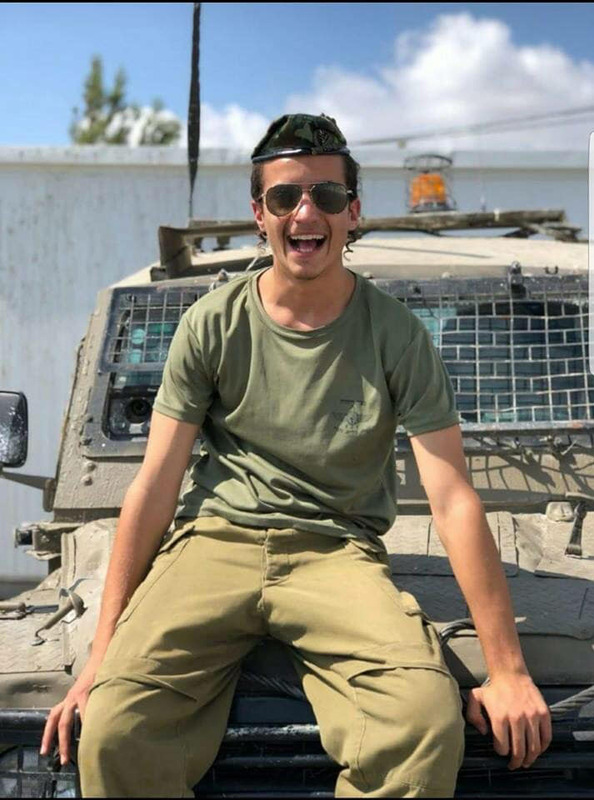 According to the Hebrew website Walla, the slain officer was a member of the unit that infiltrated into Khan Younis. Another officer also suffered serious injuries during the same operation, the website added. At least seven Palestinian citizens were killed and seven others were injured on Sunday evening during airstrikes that happened when resistance fighters clashed with Israeli special forces from the Golani Brigade after the latter infiltrated into Khan Younis and assassinated Nour Baraka, a top commander of al-Qassam Brigades of Hamas. In a statement, al-Qassam Brigades said that Israeli special forces aboard a civilian car sneaked about three kilometers into an area near Martyr Ismail Abu Shanab Mosque in Khan Younis and carried out the assassination operation. The Brigades added that resistance fighters found out about the operation, chased the infiltrating troops and clashed with them when suddenly Israeli warplanes intervened and bombed the area to cover the withdrawal of the forces. The Israeli Occupation Forces (IOF) killed over the past month 22 Palestinians in the Gaza Strip, including seven children, the Palestinian Center for Human Rights (PCHR) said on Wednesday. 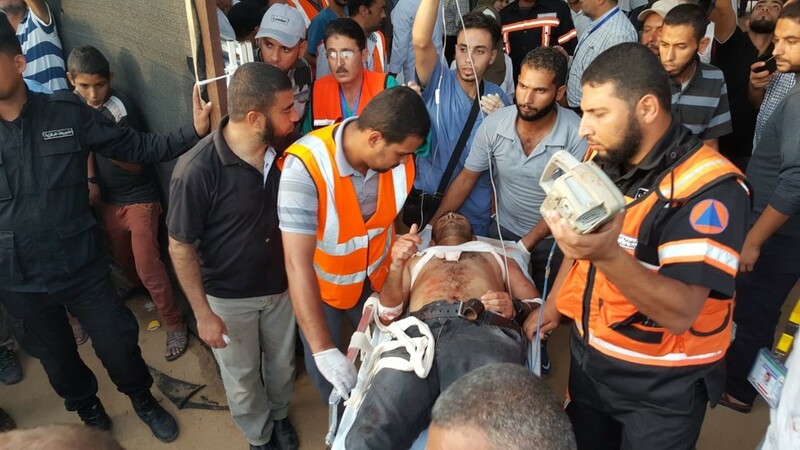 In its monthly report, the rights center documented that 22 Palestinians were killed during Gaza border protests while 1020 others were injured including 151 children. During the reported period, Israeli forces also carried out 166 violation including shooting attacks, land bulldozing, bombing, and infiltration. Ten fishermen, including three children, were also arrested during September, the center underlined.